In 432–433, St. Patrick brought Roman Christianity to Ireland, but not Roman government. So in the Viking Age Ireland possessed great, learned, clan-supported monasteries surrounded by chieftain-led tribes. 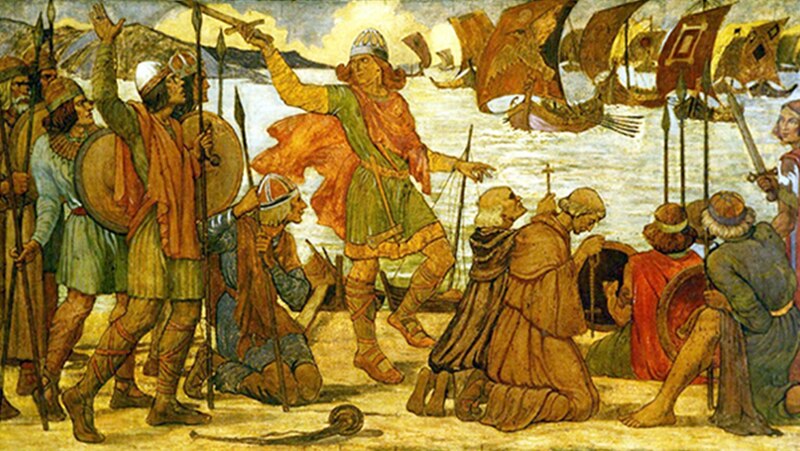 Norse Vikings devastated the monasteries, dominated the river systems and coastal ports, and co-opted local chieftains, transforming Ireland into a hub for the slave trade to Muslim Spain.